I spent a lot of my early years with this unconscious, deep fear that at any given moment, I was going to get stepped on. So, instead of turning towards the things I was avoiding, I tried to stay ahead of them by always being too busy and distracted to really hear what my life was calling me to pay attention to and truly take care of business. It’s natural to want to avoid the things that you are afraid of, feel uncomfortable or you simply don’t want to do. 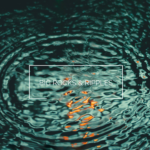 Most of the time, the bigger things that are key to survival usually get done – like paying the mortgage and feeding your kids but equally important are what may seem like the smaller things that continue to fall to the bottom of the list or are flat out being ignored. 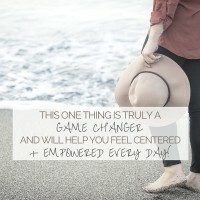 Each and every time you quietly ignore something or don’t follow through on the commitment you’ve made – you are eroding your trust in yourself and crushing your confidence. Over time instead of strengthening your belief and confidence in your ability to navigate whatever life has in store for you – you start hiding in the shadows behind curated social media photos praying that no one calls you out. When you don’t take care of the small things they add up over time and soon enough that elephant comes stomping through. The drip turns into a flood. Five pounds turns into forty. Those bills suddenly become bankruptcy. Yet, as disruptive as these things are, the worst consequences are not what you may think. The truth is that you can call a restoration company, you can get fit and you would survive and can actually thrive through bankruptcy. I know – I’ve done all three. 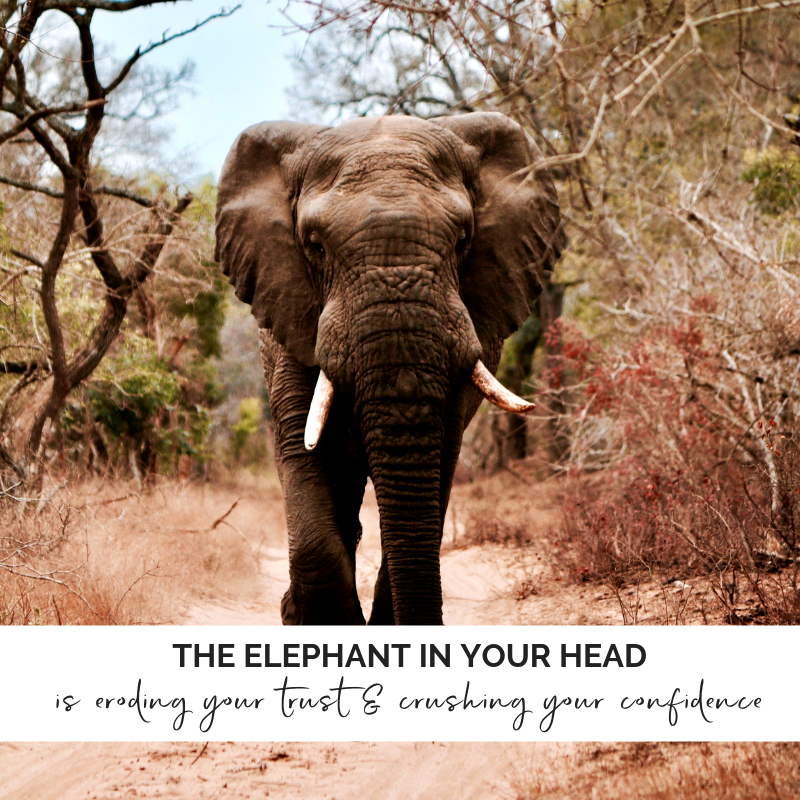 The real consequence is spending your life living in low grade fear, denial and avoidance, feeling insecure and anxious that at any given moment you’re going to run right smack dab into yourself and the voice that will no doubt say – I told you so! Your most sacred contract is the one between you and your soul. What you are doing when no one is watching is either building your trust or crushing your confidence! So, how to you move from hiding out and dodging the elephant to embracing radical responsibility? The good news is that it’s actually very simple because it’s never the actual task that is hard to complete – it’s the fear, stories and resistance around it that is what’s hard about it. 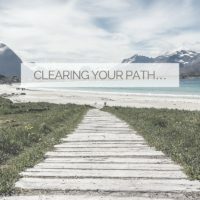 I guarantee if you choose five things and walk yourself through these five steps you will feel more grounded and self assured as your anxiety and stress subside. As I shared in this post, embracing radical responsibility it isn’t easy and it’s an ongoing practice. However, it’s way harder live your life in your own shadow when freedom and confidence is just on the other side of a few consistent small steps. Trust is indeed your greatest companion. 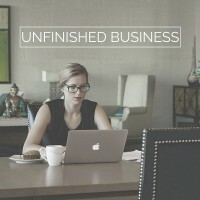 feeling the weight of unfinished business? read this. 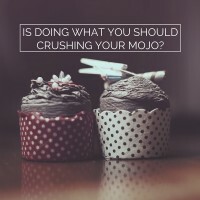 Is doing what you SHOULD crushing your MOJO? 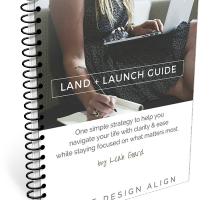 this one thing is truly a game changer and will help you feel centered + empowered every day!